If you are a homeowner, then surely you appreciate your heating and AC unit during the cold and hot months. In order to keep your system running effectively, it is important to have regular maintenance performed. There is also a need to report any problems to your HVAC repair technician the moment you know something is wrong to avoid costly repairs in the future. In order to maintain a quality temperature in your home, avoiding “do it yourself” repairs can ensure that your system operates at its best. In fact, there are several advantages to hiring a professional HVAC technician. 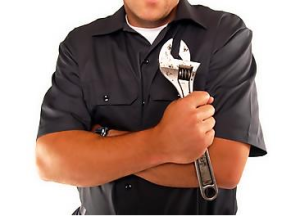 A professional technician has the knowledge due to training and education to keep your system functioning properly. Also, when there is a problem and repairs & installations need to be made, they are able to successfully repair them without creating additional problems. An additional service that you can benefit from includes having your system inspected on a regular basis. By doing this, the technician can make suggestions and show you how you can avoid potential problems later. Taking advantage of this service gives you the opportunity to play your role in keeping your system in good condition and your family comfortable. A professional heating company that hires technicians will definitely want those that hold the necessary, knowledge, training and experience. As a part of continuing to be a reputable company, they might even offer their own training programs. So, when you obtain a technician, you can assume that they have dealt with the same or similar situations concerning your HVAC system. Because their experience, they are able to finish the task as quickly as possible, allowing you to go back to your normal daily routine. Trying to handle your HVAC problems without the necessary training may leave your system in worst condition due to you doing a poor job. Why not enjoy the perks of having a professional technician who will save you time and money in the process. Effectively handling your HVAC system may require someone to come into contact with the flame sensors and motor, which can be unsafe if handled improperly. However, a professional with experience will know how to effectively handle these parts without putting you or your family’s safety at risk. There is no need to put yourself in an unsafe predicament to avoid spending money, because by trying to perform it yourself, you are risking a lot more than money. Hire a professional HVAC service company to look at your system for you. By doing this, you can be certain that the life of your system will be extended many more years. You can find qualified professionals through Google, word of mouth, yellow pages and even by searching through the local newspaper. Your real estate agent may also be able to give you some good leads on top notch professionals. Once you have found a qualified specialist, ask about special discounts so that you may save money as well.